Winemakers with heart and soul. Gladly we would like to be your host. All of the above-mentioned are used in order to produce and create our vines in Kalladorf, Lower Austria, between Hollabrunn and Retz– traditional types, high-grade dewdrops that are convincing by their classical and emblematic character. Explore and enjoy vine in its various facets: a glass of wine at the wine tavern, an annotated wine tasting or a guided tour through our historical wine cellar. On the occasion that you prefer to enjoy our vines at home, your favourite vine can easily be ordered at our online wine shop. We warmly welcome you to: a cosy and convivial evening at the winery Burger! Experience our vineyards or the exclusive wine-cycle paths of the region. Experience and Relaxation – find one and the other at our winery in Kalladorf. Hans BurgerLove and gratitude is what persists. Year by year we press our vines paying great attention to details and variety. Tradition and passed on knowledge are perfectly combined creative ideas and sustainable business. The result is high-level quality that convinces sustainably. Pulkautaler vineyard is a guarantor for excellent and leading vines, holding some untypical character. 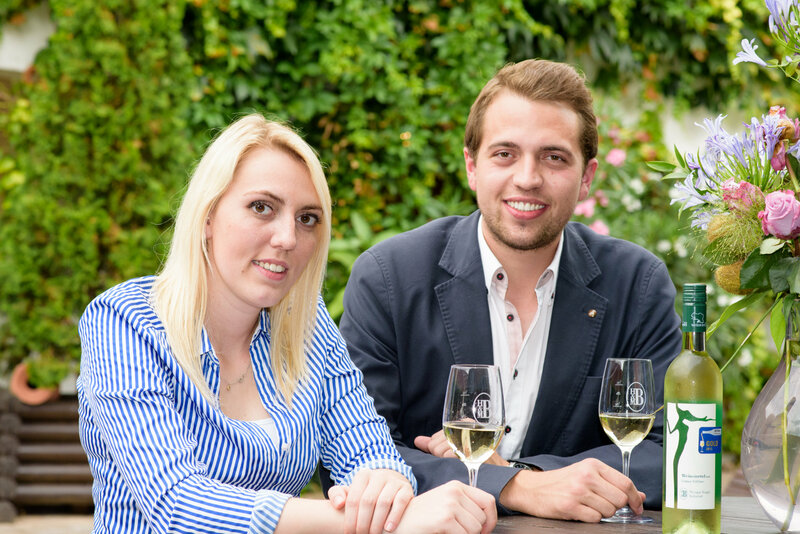 Take our Grüner Veltiner – a fresh, peppery and full-bodied wine, as it should be for Weinviertel DAC. Inform yourself about our huge variety in our web shop and directly order your favourite wine. Would you be interested in trying our finest vines before placing an order? We warmly invite you to a tasting session. The former Wullersdorfer collegiate cellar, which was constructed during the 16th century, has been reorganized in order to serve as your intimate wine house. Store your vines professionally under perfect conditions in your very own bunk. Feel free to use the unique surrounding and environment of the historical vault for private events and celebrations. Honor the celebrations of your life and of the year with us! Experience both at our winery – love of life and love for wine! At the wine tavern, while enjoying goose dishes or trotters, a tour through the wine cellar or at a wine tasting, a delightful or a romantic picnic in the mid of our vineyards – there is always something to experience in Kalladorf. Still, relaxation and recreation are never missing out. We would like to spoil you! Whether in the cosy and comfortable fireside room, our traditional, rustic lounge or, if the weather plays along, the renovated courtyard of our farm, which has been existing for more than 300 years already. Get excited about culinary delicacies and treats, exclusively prepared home-made, being served with accompanying vines. The world belong to those, who enjoy it. Time does not stand still in Pulkautal, but the quality is way different for sure. Rest and recover from your activities in our double bedrooms and apartments. Calm down and re-examine the impressions of a successful day in a comfortable and relaxed environment.